Corporate Orders | Oh My Cupcakes! We love to make you look good. Make a delicious impression by having Oh My Cupcakes! delivered to your next corporate event or pick them up in our store. 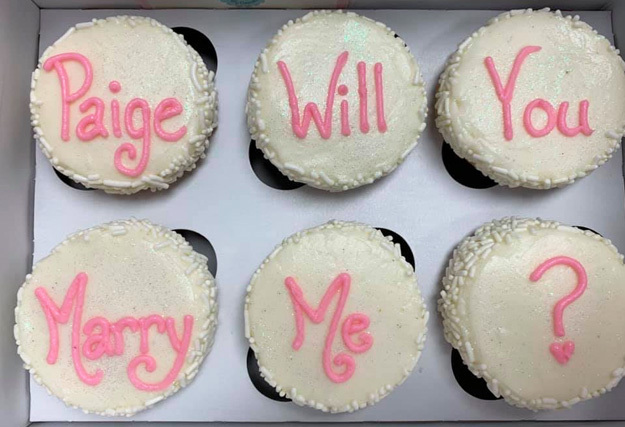 Or better yet, send a box of custom-branded cupcakes anywhere in the country! We make it easy to order custom logo cupcakes! 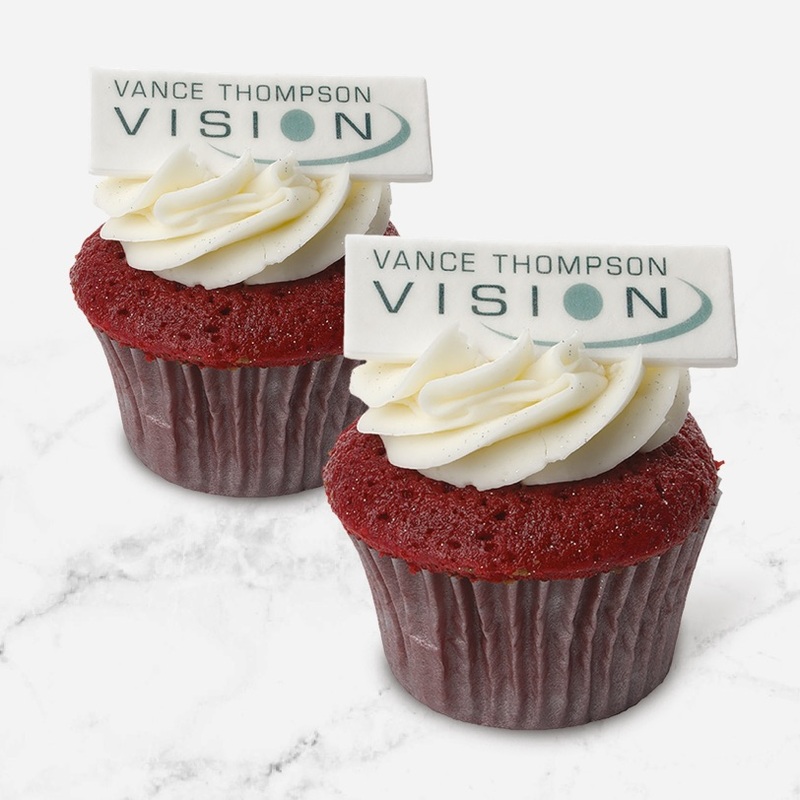 We'll print your company's logo on a circle, square, or rectangular piece of fondant and attach it to the top of any of our standard or mini size cupcakes. 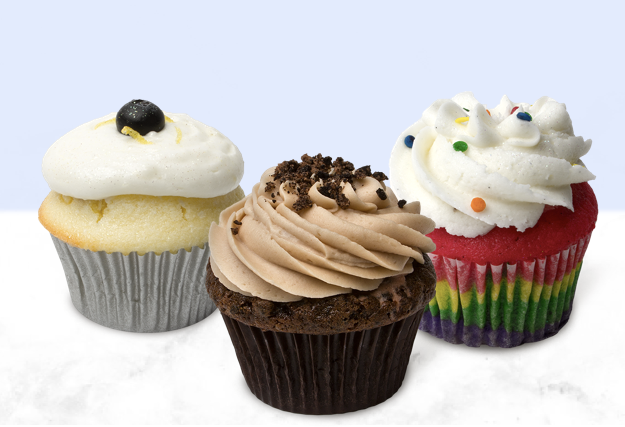 So to get started all you need to decide is which cupcake flavors you want to include with your corporate order. Simply click on the Create Order button at the top of this site, choose a delivery or pickup location, and we'll show you which flavors are available for the date of your order. And remember, if you're buying 12 or more cupcakes at least a day in advance you can order anything from our full cupcake menu! If you already have your company's logo file (in .jpg or .png format) then you're all ready to get to work! 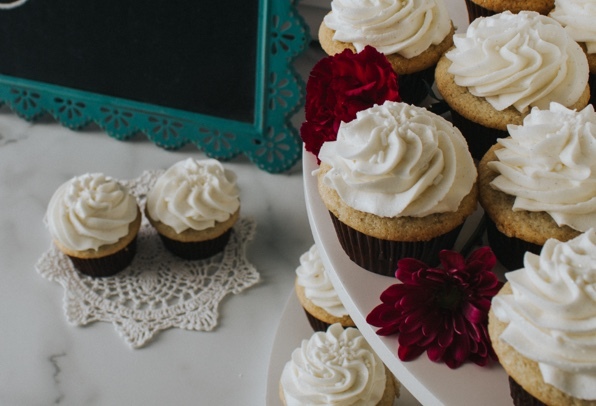 Create an order from any of the cupcakes in our menu and simply choose "Yes, Upload a Logo" when viewing your cart! 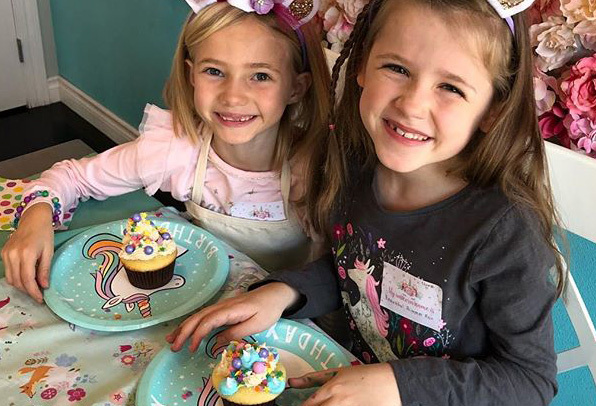 You have the option of adding your custom fondant logo to all the cupcakes in your order, or to just half of the cupcakes. Choosing all will ensure that everyone enjoying these cupcakes will see your brand. But choosing half will let more of our fancy cupcake decorations show through when viewing an entire box. The choice is totally yours! Step 3: There is no step 3! Just make sure your logo uploaded and that you see it in your cart. Then, simply continue checkout and we'll take care of the rest! Or, order the old school way! All this techy stuff got your head spinnin'? No problem! Our corporate ordering team is happy to help you via phone, email or in person. Either fill out the form below or call our store at (605) 310-6742 to place your custom corporate order. Interested in ordering Oh My Cupcakes! for your next large corporate event or to give as corporate gifts? Tell us what you need and one of our Oh My Cupcakes! Order Specialists will contact you to discuss quantity discounts and branding options!